In Almere’s new city centre, Susann Lekås and Joes Koppers are creating a work of art entitled Optionaltime, which plays a fascinating game with time. The screen is literally a hybrid space and mirrors both the real and the virtual surroundings. On screen, they are mixed together. FusedSpace submission by Joes Koppers and Susann Lekås. Optionaltime 2, Joes Koppers and Susann Lekås. Susann Lekås (concept); Joes Koppers (technical concept); Arjen Keesmaat and Joes Koppers (programming) with the cooperation of Zara Dwinger, Esgo & Jori Groenendijk, Jeroen Koop, Niki Mens, Angelique Piovillio, Rutger Prommenschenckel, Marianne Stevens. Susann Lekås (concept); Thomas Gresch and Arijen Keesmaat (technical concept); Joes Koppers (original technical concept); Thomas Gresch, Arjen Keesmaat and Patrick Machielse (programming). ‘Time is a measurement generally considered to be linear and we believe that this perception is limiting.’ Susann Lekås and Joes Koppers open the introduction to their collaborative project Optionaltime (2002–2006) with a slightly bold statement. The project aims at creating ‘a non-linear and therefore less limited experience of one of our most influential navigation systems: time’, using new media in public space. At stake is nothing less than neutralizing the absolute difference between past, present and future in the experience of time in public space. Thereby, a characteristic aspect of virtual space (computer, film, narration) in which, as we know, time can be stopped, slowed down, rewound and fast-forwarded, is introduced into ‘real’ reality. Can this be done? For that we need, according to Koppers and Lekås, new tools and a new, hitherto undefined, medium: ‘interactive film’. 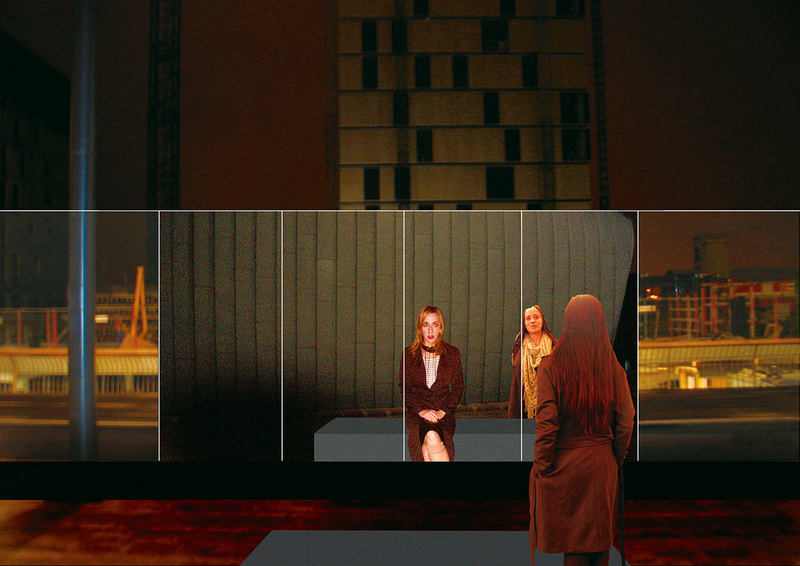 The first ‘installment’ of Optionaltime (2002) was an installation in a small confined space in De Paviljoens, Almere. On one wall, an image was projected of people apparently standing in an elevator, waiting to arrive at their floor. 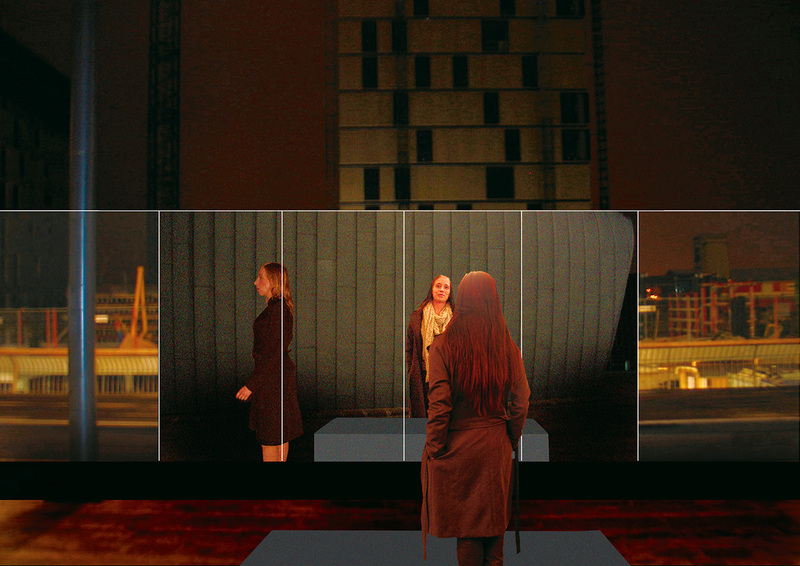 Visitors saw themselves as in a mirror, entering the ‘elevator’ and waiting alongside others. 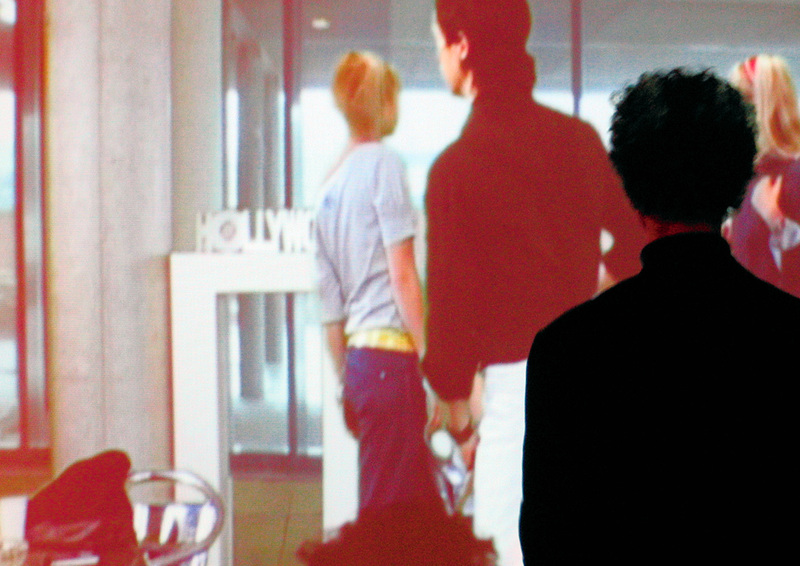 Without knowing it, the viewers’ movements controlled the speed and direction of the digital video (the ‘mirror’), as a result of which, as one visitor remarked, ‘we (the visitor and his “mirror image”) did not move at the same pace. That is impossible, I said to myself and looked again. Now we were synchronous.’ That, most probably, was because the visitor stood still with amazement, triggering the video to play at ‘normal’ speed. 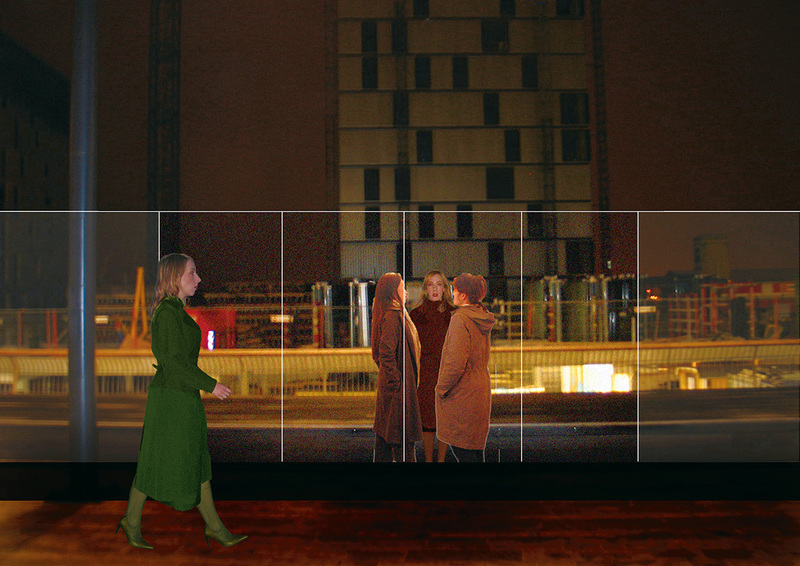 In Optionaltime2 (2004), visitors of Nemo in Amsterdam positioned themselves before a large screen on which a scene was projected which was recorded in the same space. Various people enter the image, exit again, talk with each other or do something. 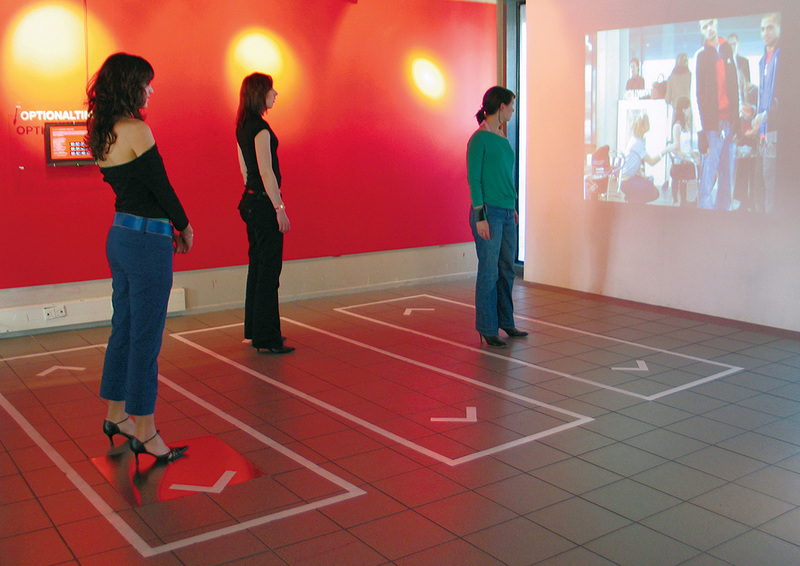 But when walking in front of the screen, or moving more than normally, the viewer sees some actors walk backward or faster forward, while others move on in ‘normal time’. Three timelines, in fact three separate digital video tracks, are seamlessly mixed and can be separately speeded up, slowed down or played backward, dependent on the movements and position of the viewer in front of the screen. Those who figured it out unconsciously started to dance in front of the image to try and see which movement would influence which part of the video in which manner. 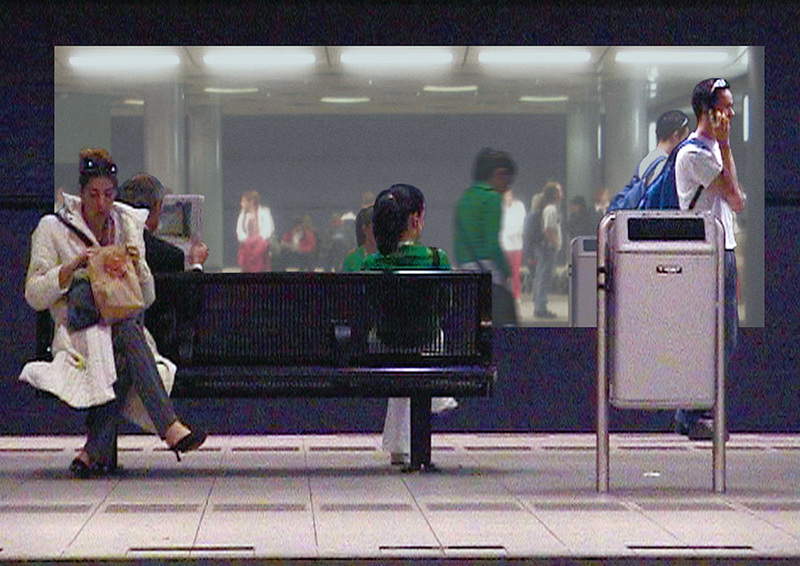 In their proposal for Optionaltime – Public Expanse, the audience sees itself reflected in a large mirror in a public space – a station, a waiting room, a lobby, a public square. The ‘mirror’ allows who’s in front of it to interact by moving, to manipulate one’s own image and that of others, now, a while ago, to change the pace of people who have actually left the space, or who are just passing by while one’s own image of a minute ago is standing alongside them. 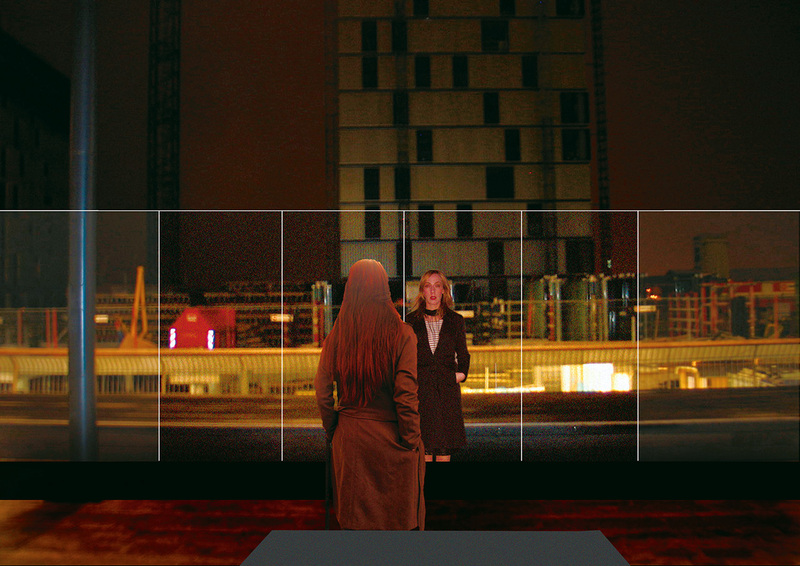 Beneath all of this – but visually seamlessly merged within the same space and undistinguishable from the other image layers – is a layer prepared by the makers of the installation, a fictional story which is mixed in with the feeds from reality and also reacts to the movements of the audience before the screen. In all cases, the image does not comply with the laws of linear time. Koppers and Lekås want to make this virtual experience conceivable in the ‘real’ world. 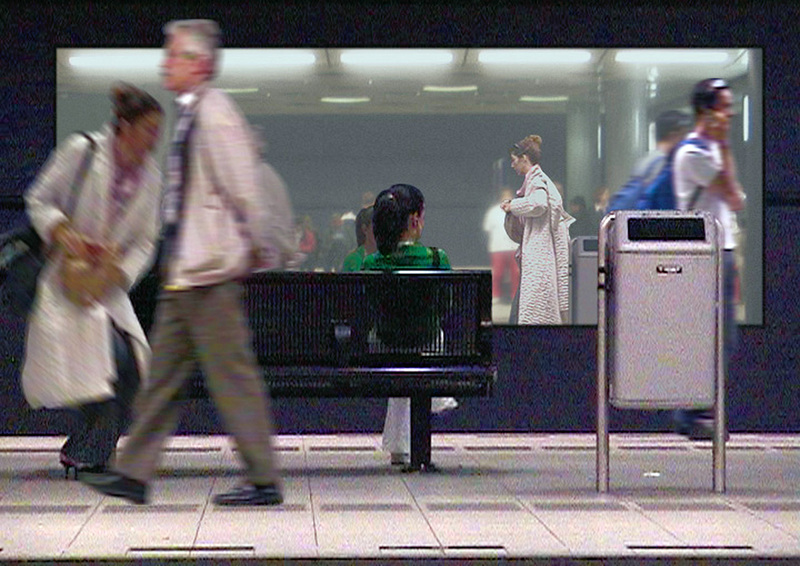 The proposal for Optionaltime – Public Expanse won a second prize in the international FusedSpace competition for ‘new technology in / as public space’ in 2004. Since then Susann Lekås has developed the concept further on her own. Meanwhile, the City of Almere, via art space De Paviljoens and supported by SKOR, has commissioned a version of the project to be realized in the public space of the to-be-built new town centre, on a public square in front of the projected Urban Entertainment Centre. A large screen, designed by NPK, looks like a windscreen in front of the centre, but will partially serve as projection surface on which Optionaltime will show a manipulated reflection of the backdrop: passers-by, people who have just sat down on one of the benches in front of it, kids skating on the square, combined with previously made footage of actors in the same space . . . The project will most probably be finished by the end of this year or the beginning of next year. But what can already be said is that it ‘makes the temporal character of (public) space visible and fosters the questioning of our naive understanding of the linearity of time and space in a meaningful way.’ That was media-artist and -designer Joachim Sauter’s comment, one of FusedSpace’s jurors. The project shows what is going on in the mind of a ‘passer-by’, or Baudelaire’s flâneur: A non-linear to and fro of actual experience, marginal musings connected to it and recurring images from our not yet organized short-term memory occasionally linked to associations with older memories or fantasies. The déja-vu ratio of such mixed and undirected reveries is quite high (have I seen this person before, or did he just step into my field of vision? ), and makes one constantly shift between actual observation and a kind of mental replay. The design of Optionaltime complicates that internal mix-up of seeing / being seen by adding an external version of it – a public expanse of an intimately private space. The design is interactive in that it challenges passers-by to both mentally and physically take part in it, even if they don’t master all the controls. Optionaltime 3 is a hybrid space in the most literal sense, a spatial object, which not only reflects the flow of its surrounding reality, but also that of a virtual world and of interaction. The windscreen – that is the main recognizable form of the material object, which only on closer look becomes a projection screen – is an apt metaphor for this hybrid space: it literally screens off (the space behind it remains visible, but is not directly accessible anymore), but at the same time, it allows you to experience the flow behind it without actually getting sucked into it. That condition, again, is characteristic of that of the flaneur, the disengaged pedestrian who mirrors himself in anything he sees around him – participant, and not. In spite of the general push towards immersion, this is an aspect of any mediation: a form of detachment, which makes participants of even the most interactive of environments at least also observers. It is this reflective potential that Optionaltime 3 uses in part explicitly and in part implicitly. In the form in which it will be realized now – announced as an ‘interactive movie’ – only part of Optionaltime’s medial quality is expressed: the awareness of ‘seeing / being seen’ mentioned earlier, and the interactive manipulation of time in various layers of images. But it doesn’t take much imagination to see that, as a medium, the hard- and software used for the project has a lot of potential for changing the small public space in front of Almere’s Urban Entertainment Centre into a veritable hybrid space. In principle, it can offer an interface with similar spaces elsewhere and it is capable of mixing a great variety of combinations of information and visual entertainment. I therefore see Optionaltime 3 mainly as a first version – test case and promo at once – of a merging of medium, content and hybrid space. I’d be happy to see a good curatorial strategy being developed for this medium on this spot, that over the next few years will use the full potential of this hybrid space.